In 2010 the Third Degree was awarded the UTS Human Rights Award for Creative Media and Social Justice. Some of the stories selected as a representation of our journalism for this award can be heard below. Shell on Trial (8’09”) Aired on 04/06/09 In 1995 Nigerian activist Ken Saro-Wiwa was executed for speaking out against the oil industry in Nigeria. Fourteen years later the Saro-Wiwa family is taking multinational oil giant Shell to court for crimes against humanity. It's only the third time a multinational corporation has been on trial, and The Third Degree's Tessa Rex talks to Nnimmo Bassey from Energy Resources Action Nigeria. Carterets due for Evacuation (6’59”) Aired on 04/06/09 Low-lying pacific islands the Carteret Islands are being swept away by rising sea levels. The Third Degree's Libby King spoke to Ursula Rakova from Tulele Peisa about a pressing need to relocate by November. Refugees off Merak (4’31”) Aired on 12/11/09 Audio from the rally to welcomes refugees in Sydney, November 2, 2009. This recording is of a live cross to the boat currently anchored near Merak, speakers are Alex and 12-year-old Brindha. This audio was recorded by Nat Wasley for the Third Degree. Voices from the NT (5’16”) Aired on 26/03/09 A public forum in March described the Northern Territory Intervention as racist, both in the way it suspends the “racial discrimination act” and in the way it is affecting Aboriginal communities. Valerie Napiljaree Martin from Yuendemu (300km from Alice Springs) is travelling around the country to speak out against the Intervention. The Third Degree's Hannah Walters edited a version of Valerie’s heartfelt speech, offering personal insight into how the Intervention is affecting the lives of Aboriginal peoples. Defending Indigenous Rights Special part 1. (29’36”) Aired on 29/07/10 Having just returned from Mparntwe -Alice Springs The Third Degree’s Tessa Rex and Jessica Minshall bring you audio from the 'Defending Indigenous Rights: Land, Law and Culture' gathering from the 6th to the 9th of July. 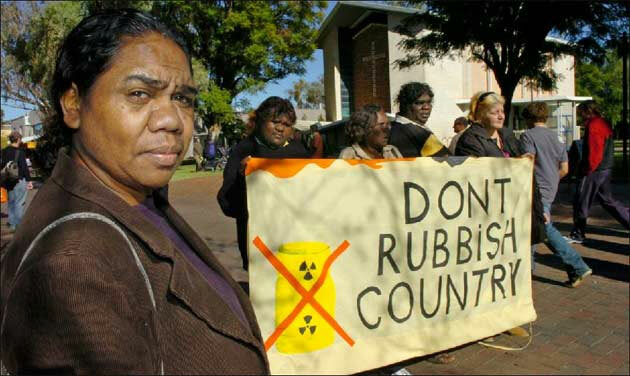 The conference provided a space for Traditional Owners from the NT to talk about living under the 'Intervention' and the proposed nuclear waste dump at Muckaty Station at Tennant Creek. This program features the voices of: Mitch, an Arrente/ Luritja woman, author, poet, artist Marianne Mackay from Wadja country in WA Barb Shaw from the Mount Nancy Town Camp Christine Abdullah, Nurundjeri woman from SA. You can listen to the series of reports here. Tillegra Dam (13’34”) Aired 06/05/10 An update abut the ongoing Tillegra Dam controversy – the Third Degree’s Jessica Minshall revisits the debate around the proposed dam site on the Hunter River near Dungog. It is the last healthy and unregulated river in the region, with RAMSAR listed wetlands at its foot. It's a dam locals don't want, and that the region doesn't need. It hasn't been approved, but Hunter Water Corp is already billing residents to build it. This report begins with Ken Rubeli, from Save the Williams River Coalition, and State Greens MP John Kaye at the protest at NSW Parliament House. Mumbulla Illegal Forest Logging (10’54”) Aired on 20/05/10 The Mumbulla Forests are being logged illegally. In this report by The Third Degree’s Hannah Walters: Harriet Swift, coordinator of CHIPSTOP campaign group, Gemma, a supporter from Sydney, and homegrown, original protest music with thanks to The Koala Anthem Chorus, Bega Chamber Orchestra and Tathra Women’s choir and Blockade the Musical.